The Sincura Travel Team love adventures and have compiled a list of places where they recommend. These holidays are bound to create unforgettable memories. 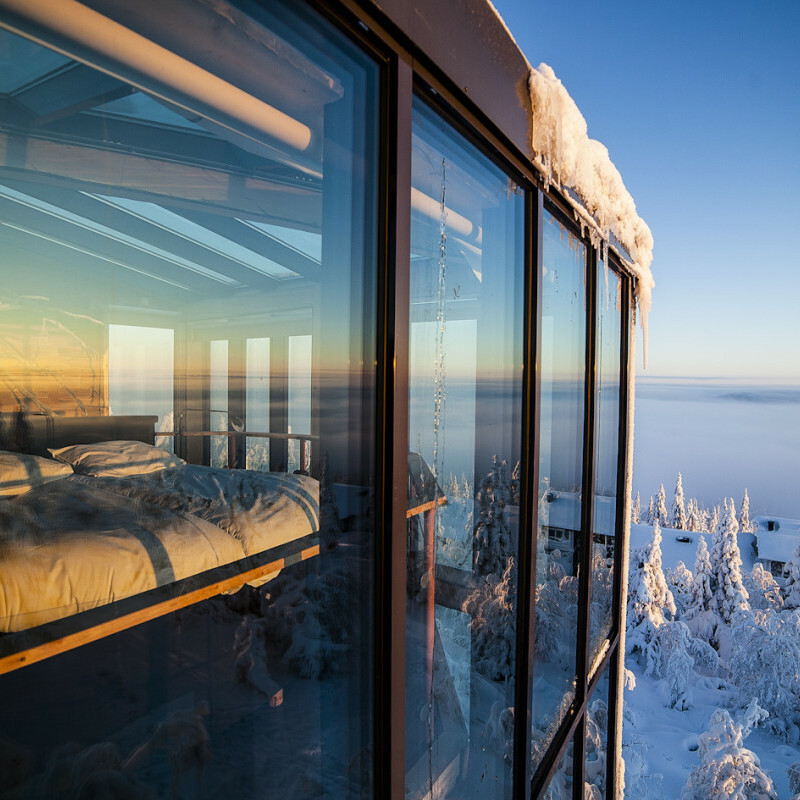 Situated in the mountain range of the Syöte National Park -the Finnish region that gets the most snow- this luxurious hotelsuite offers 360 degree views over the surrounding forests, lakes and nature areas, through its glass roof and walls. The space has two floors: downstairs there’s a spacious living room with fireplace and a luxury bathroom with private sauna, while upstairs you can find the bedroom and jacuzzi, overlooking the unspoiled beautiful nature. 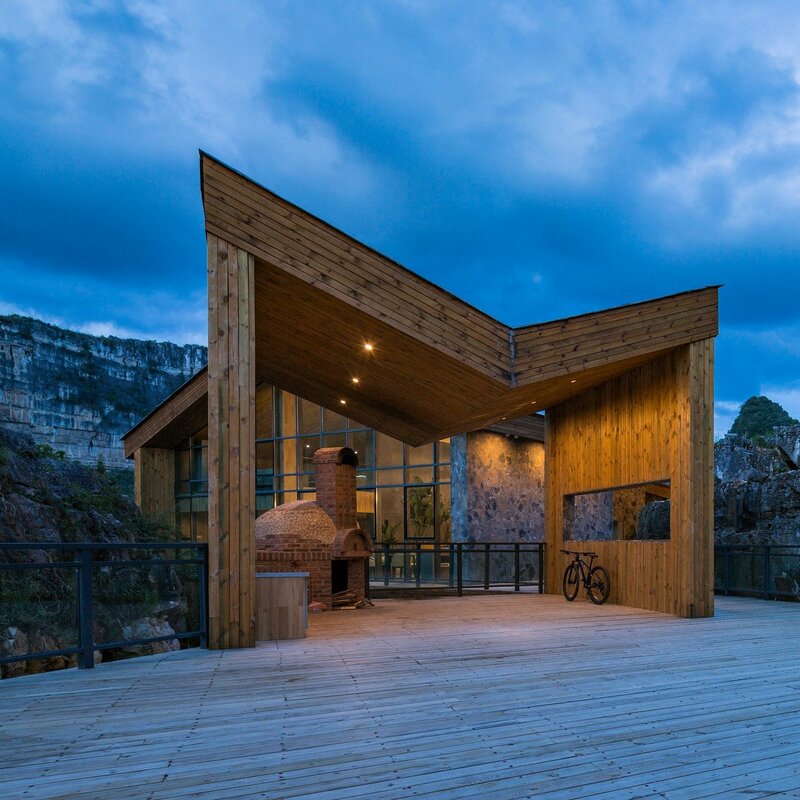 The design team from 3andwich Design/He Wei Studio were honored to have the chance to demonstrate how even a utilitarian civic building can be transformed into an interactive extension of the dynamic vistas the Tourist Center of Anlong Limestone Resort has to offer. Built on the highest point of the small hill laying at the bottom of a karst canyon in Guizhou Province, China, the tourist center overlooks the 700-acre resort surrounding it. 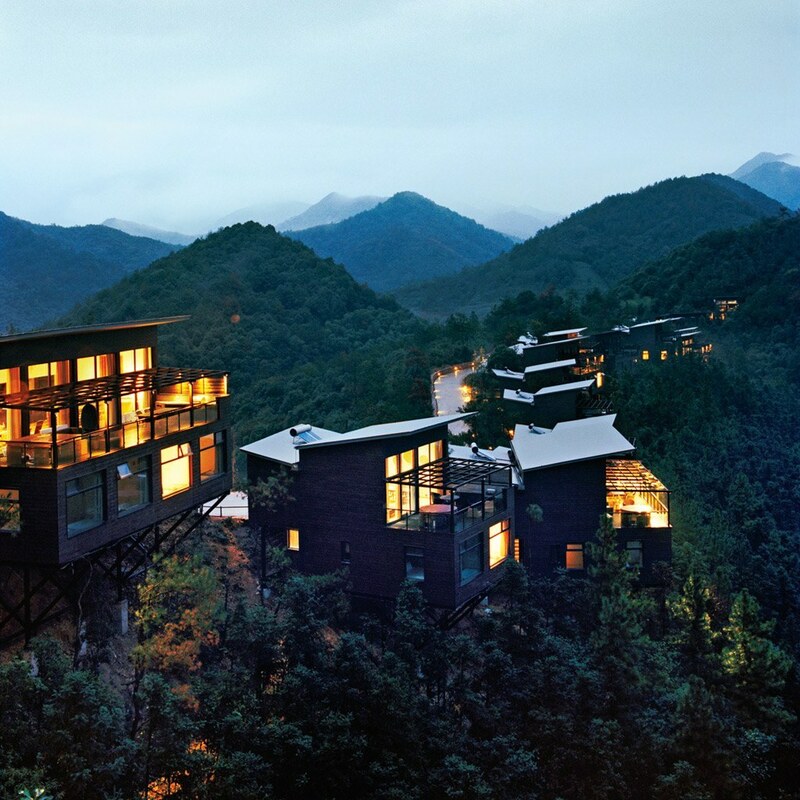 Stretched out along the hillside of a secluded valley at the foot of the Moganshan Mountain is the Naked Stables Resort. This idyllic 121-room resort is the first in China to be awarded a LEED Platinum Certification, meaning this lavish getaway is also resource efficient. 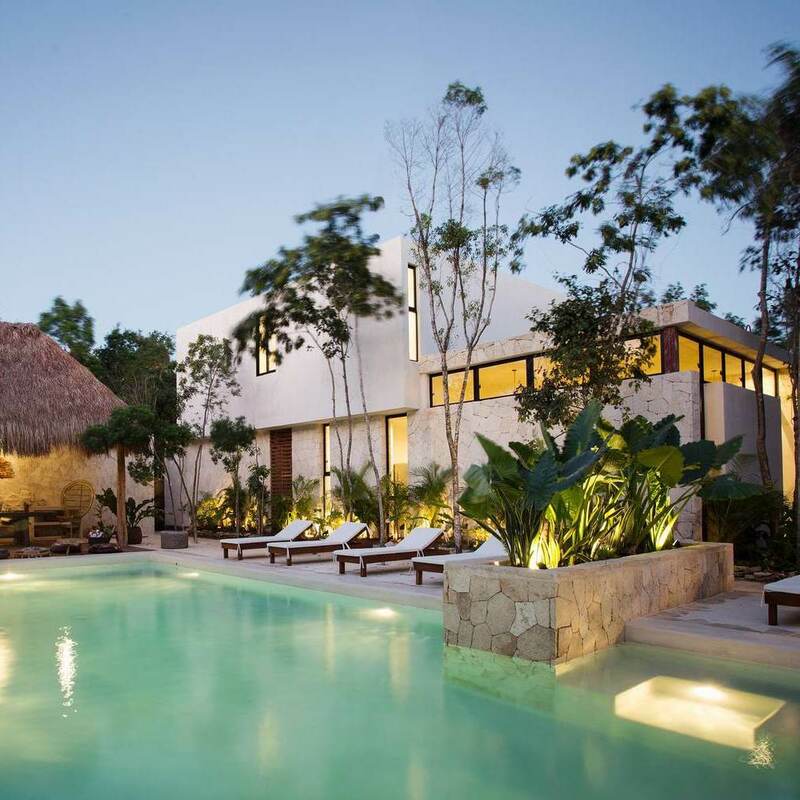 The gorgeous Una Vida Boutique Villas came about as the result of the owners wanting to create a selection of rental villas in the rainforest of southern Mexico near the Caribbean coast. 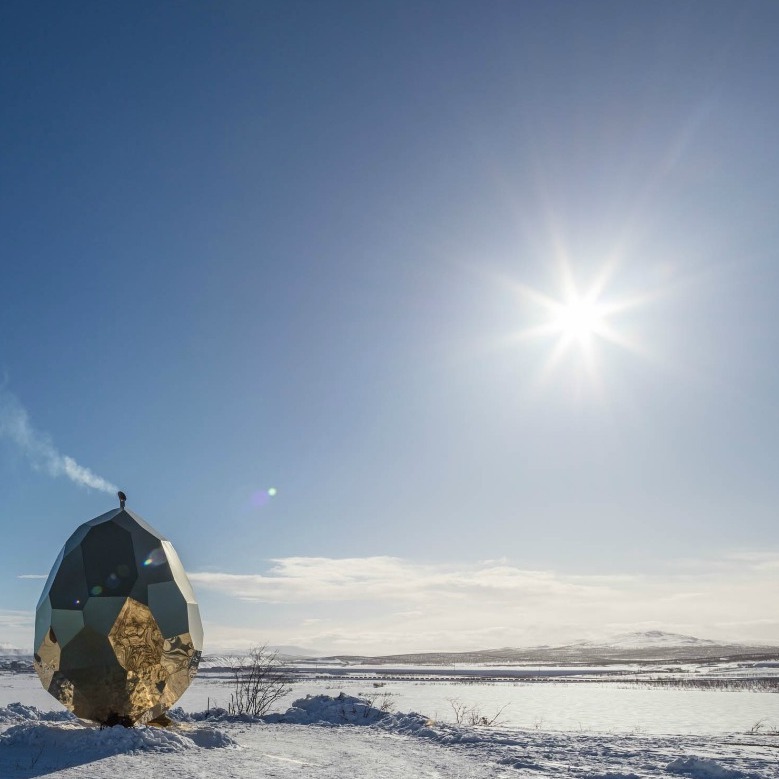 Located outside Sweden’s northernmost town of Luossabacken, The Solar Egg Sauna is a 15-foot tall, 12-foot wide egg-shaped structure with a faceted surface made of gold-plated stainless steel. Up the stairs and through the crack-like door is a pine sauna with a bench made from aspen, and a custom-made, heart-shaped stove made of iron and stone. 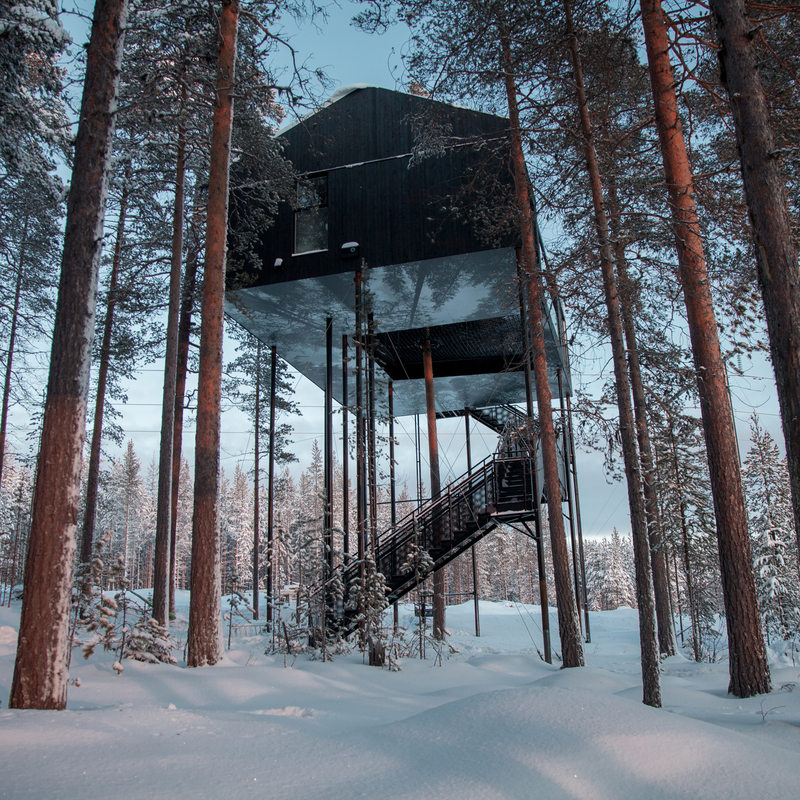 The Tree hotel is a unique hotel which gives you the experience of being up in the trees. 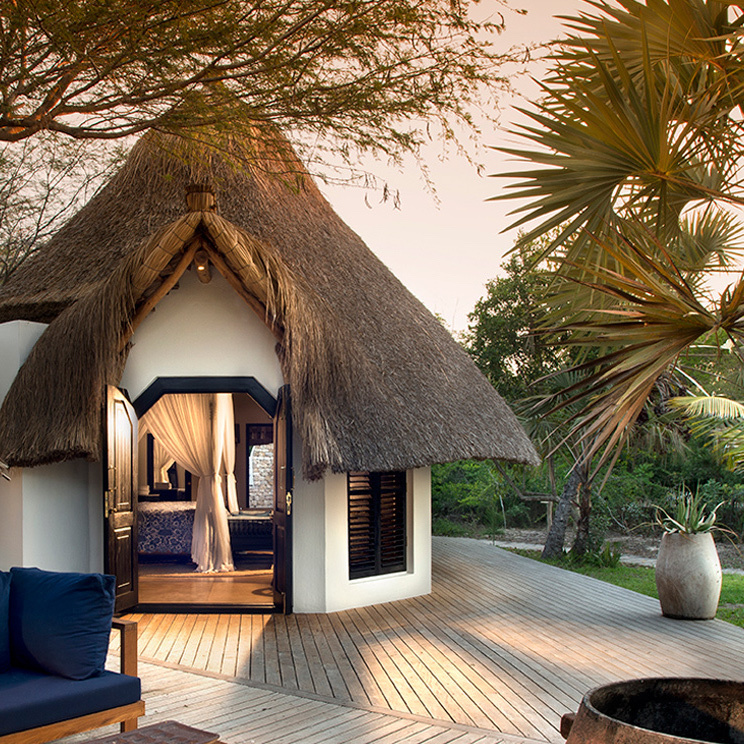 each room has a contemporary design in the middle of unspoiled nature. Here you can forget about the time constraints of everyday life, enjoy the tranquil setting and rejuvenate in a sophisticated setting. 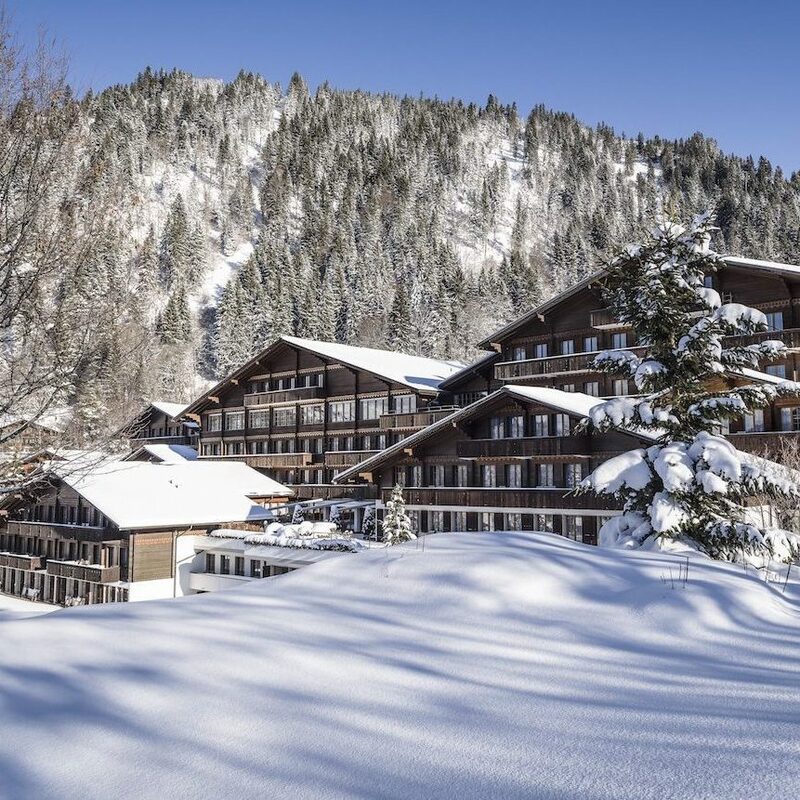 This environment is perfect for relaxing in comfort, the 136 guest rooms is an Alpine retreat in its own right, with rich and warming chalet-style interiors that are inspired by our beautiful surroundings. 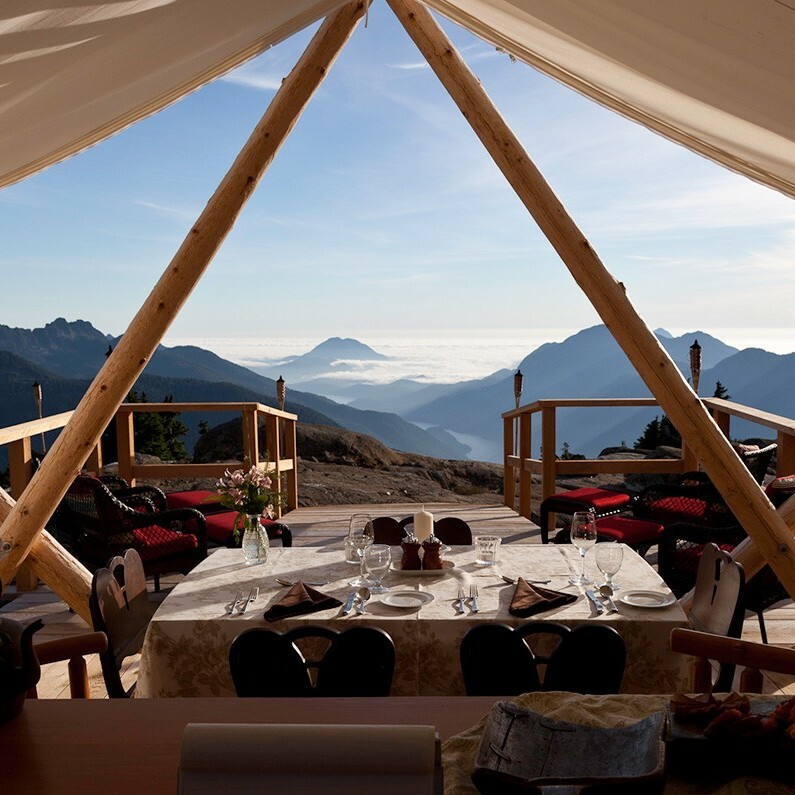 With sweeping views of the mountain world outside your window, you’re never too far away from the great outdoors. 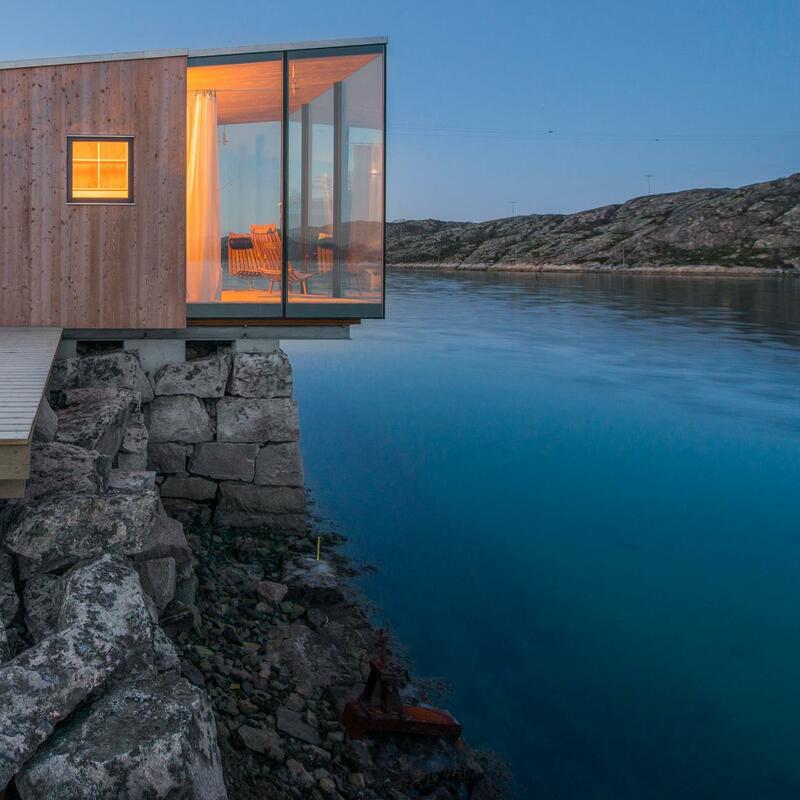 Originally created by the Stravanger Tourism Association of Norway for hikers to stay over night, this self catering mountain lodges take minimalism to a new level. They are easy to maintain and hold up to 5 people. There is also a large Main building that can hold 35 Campers. 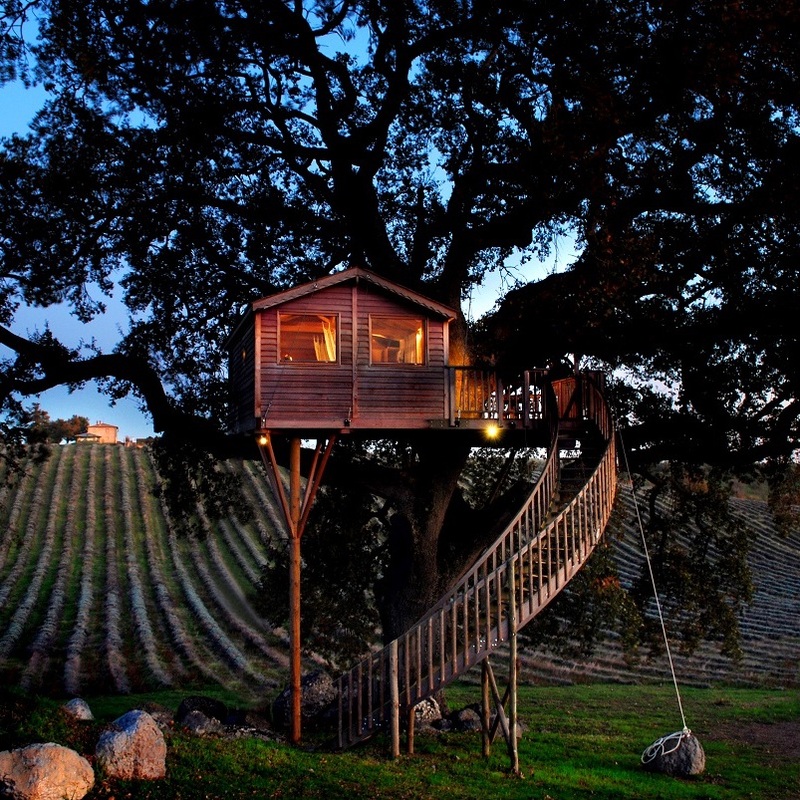 The treehouse is a place where you can live with birds high in the forest tree-tops. 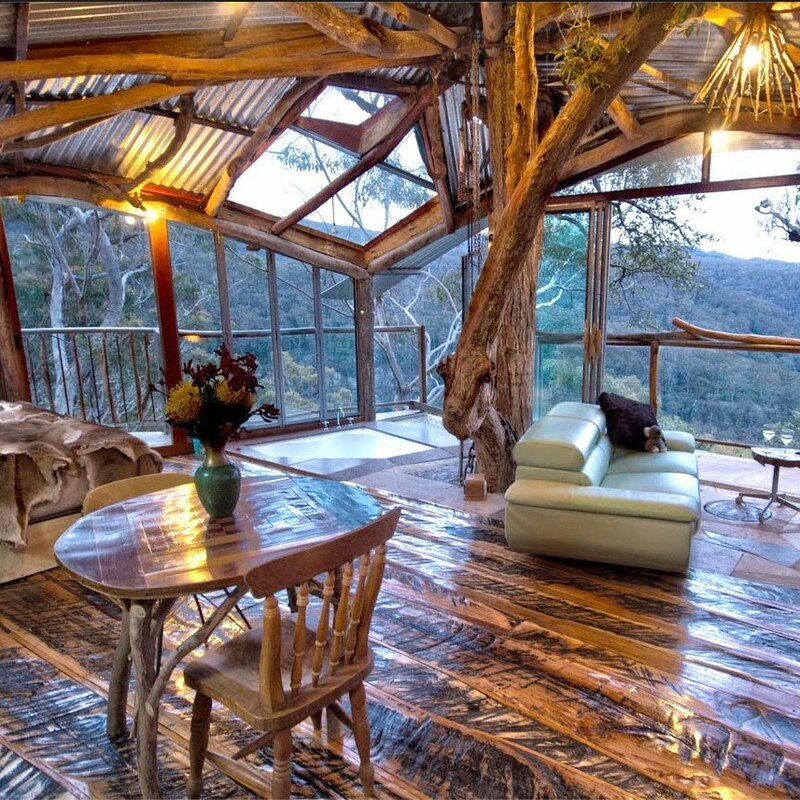 It has simply stunning views of the deep Bowen's Creek Gorge and rare Blue Mountains rainforest. This one-of-a-kind cabin comes complete with spa, kitchenette, Queen bed, fireplace and floor to ceiling windows to provide an amazing and unique experience. 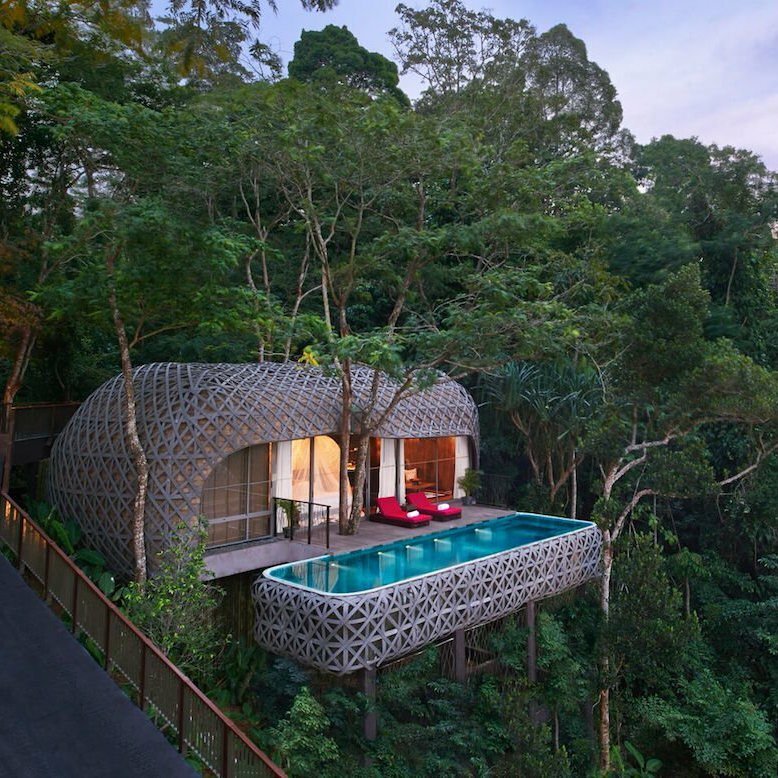 The treehouse is located in palm trees as living "piers" raised 6 feet above the ground. 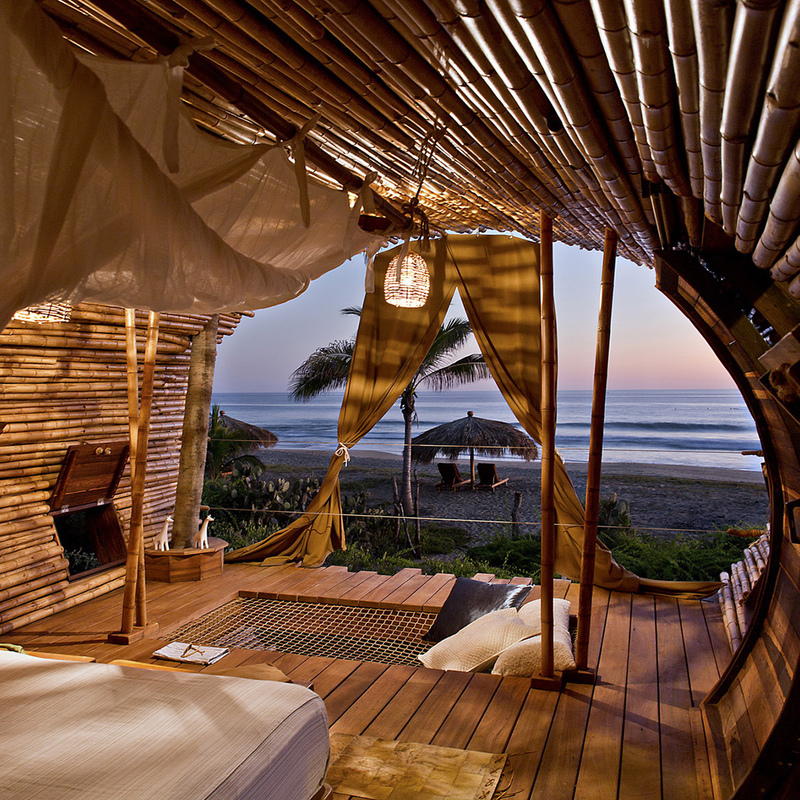 Room is fitted with a King Bed, private bathroom, ocean view and small lounge area with a hammock to help you relax. 20 villas are hidden along one of the last undiscovered stretches of beach in the world, with all the comforts you could wish for, sparkling private pools, Butler-hosts to look after your every need, seafood fresh from the ocean, a fantastic range of activities, an African spa to relax in, all at a community based project where the local islanders benefit as much as you. Azura is paradise. 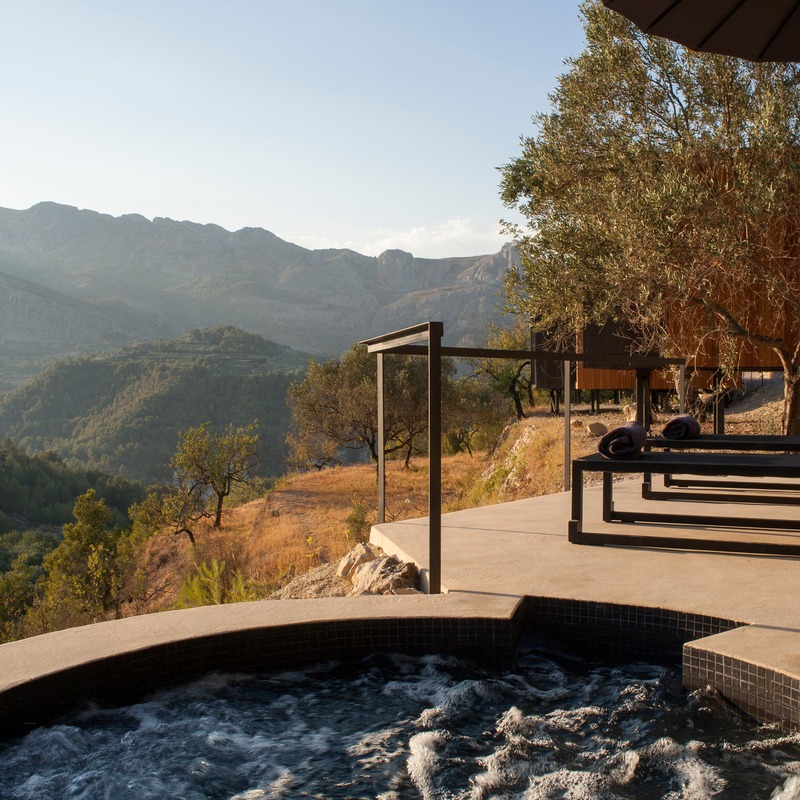 A stone's throw from the olive grove, here you can fulfil a childhood dream. Eight metres off the ground, amongst 12 hectares of lavender hills. Set apart from the hustle and bustle of everyday life, it is the perfect place for day-dreaming, observing, reading, writing, listening to music, being alone, feeling good, resting and loving each other. Admire the northern lights in a glass igloo, whether it be with friends or a lover. 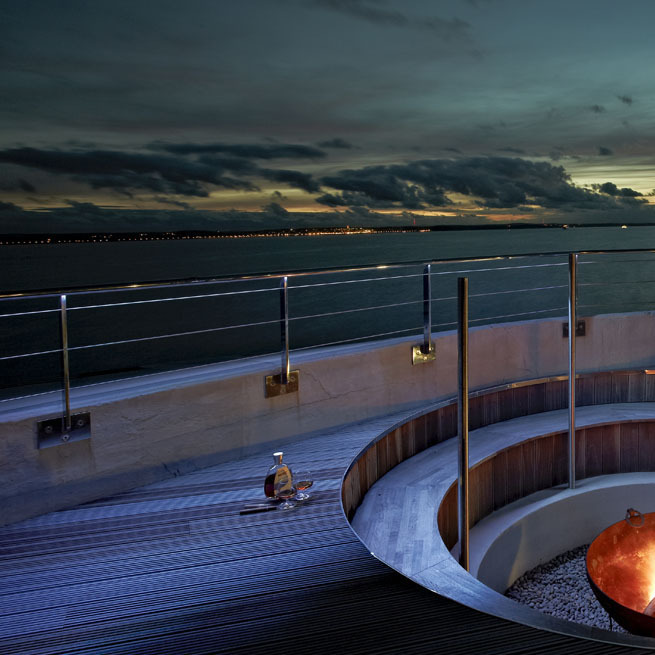 The two, three or four person igloos give you prime access to the lights with secluded access. saunas and showers are based in separate buildings. 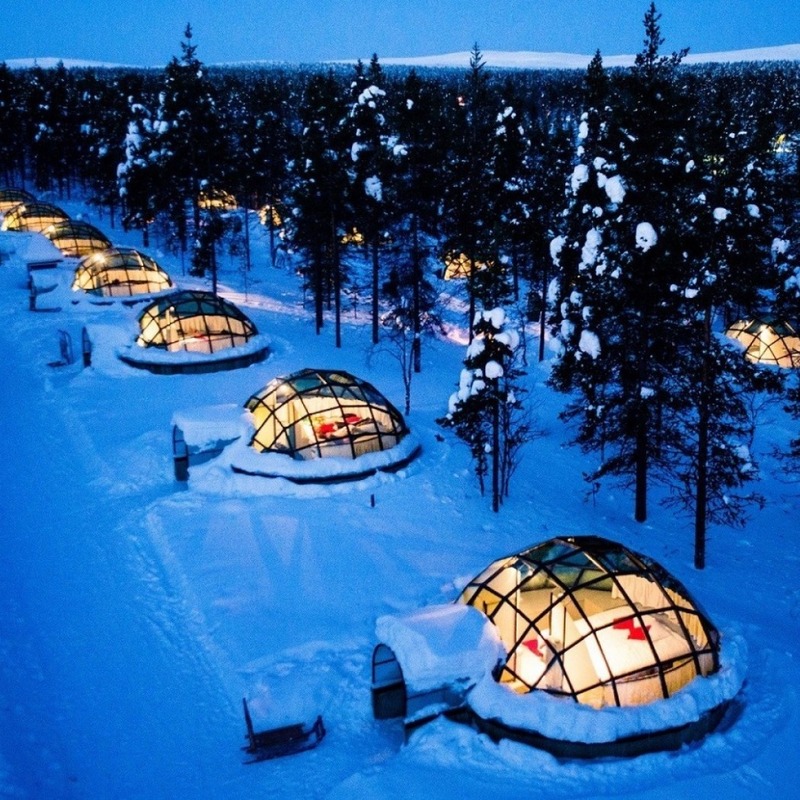 The igloos are available during the Northern light season between 24th August until the end of April. Three of the seacabins are placed along the old stone jetty. 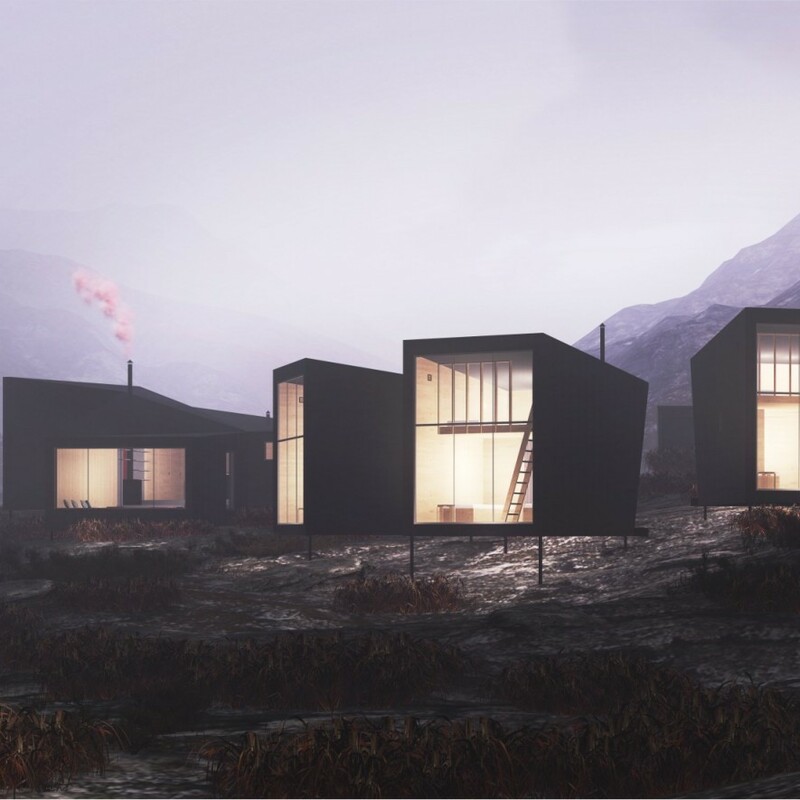 The fourth hut is situated above the others on a natural ledge, with specular view overlooking the sea and mountains. Through the large glass windows you can enjoy the elements. Each hut has two separate bedrooms with double beds and one alcove for children. Most hotels are only interested in your experience inside their own walls. Some even actively try to keep you on the premises as much as possible. 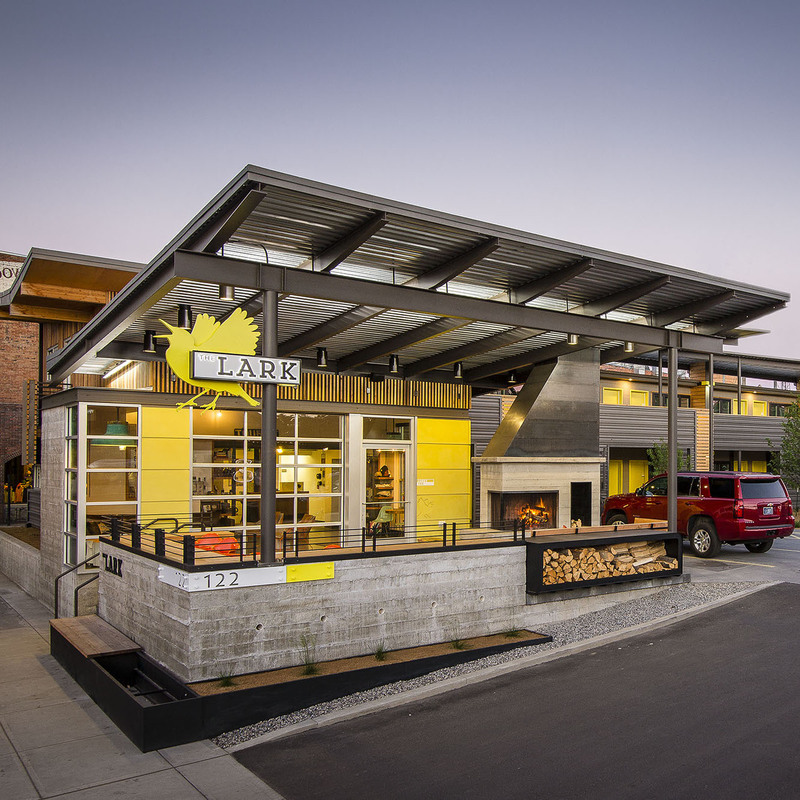 The lark aims to do something different. Lark want you get out and find the perfect adventure for you. VIVOOD Landscape Hotel offers a peaceful getaway which gives visitors the opportunity to experience new sensations in an exclusive setting. Walk the paths through the valley, breath in the comforting, pure air and enjoy close contact with nature,sustainability and a healthy life in luxurious surroundings. Taking inspiration from the Rung-Nok Clan (Nest Clan) who enjoyed an opulent life. The villas offer some sea, rainforest and resort views and include an expansive bathroom with monsoon shower and a stand-alone bathtub with a view. Welcome to one of most remarkable home.. Based in one of the most remarkable settings, the Southern California desert. 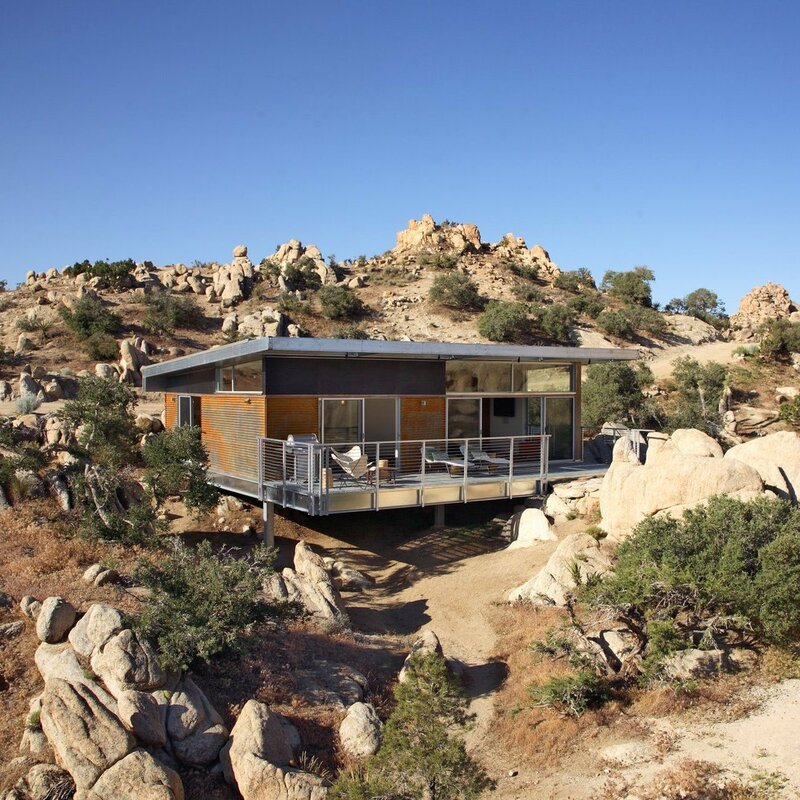 Rock Reach House is a modern steel house perched amidst a pristine high desert location among enormous weathered boulders along with ancient juniper, pinón and desert oak trees. Imagine yourself encapsulated within a turquoise blue bubble, watching shoals of reef fish swimming lazily by - sometimes in three or four layers of different species above the reef floor. This is the heart-stopping experience that awaits you in the underwater room. 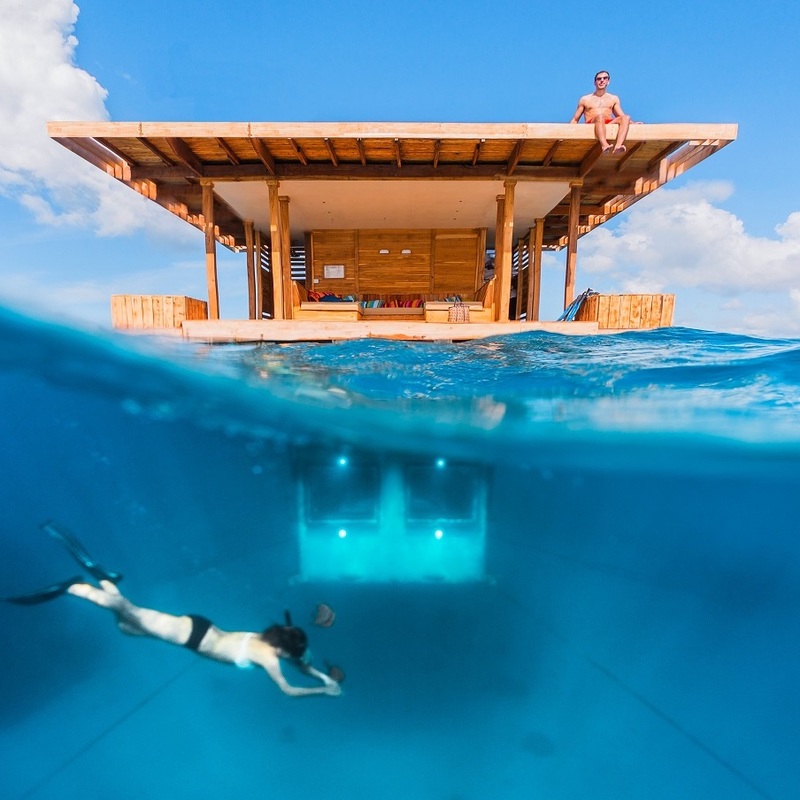 The floating structure provides three levels, those above the water clad in local hardwood, and each an experience in itself..